Abu Anas al Libi, a key al Qaeda operative wanted for his role in the bombings of U.S. embassies in Kenya and Tanzania in 1998, has been captured in a U.S. special operations forces raid in Tripoli, Libya, U.S. officials told CNN on Saturday, October 5. [CNN] – In two operations in Africa nearly 3,000 miles apart, U.S. military forces went after two high-value targets over the weekend. One operation took place early Saturday in the Libyan capital of Tripoli, when U.S. forces captured Abu Anas al Libi, an al Qaeda operative wanted for his role in the deadly 1998 bombings of two U.S. embassies in Africa. In the second raid, a team of U.S. Navy SEALs in southern Somalia targeted the top leader of Al-Shabaab, a terrorist group linked with al Qaeda. As al Libi was returning to his house from morning prayers, a group of 10 men surprised him, a person who knows al Libi’s family said. Citing al Libi’s wife, Noman Benotman told CNN that the al Qaeda operative tried to reach into his car’s glove compartment to grab his gun — but the men quickly snatched him. A source close to Libyan intelligence said the 10 men were masked. The Saturday operation was conducted with the knowledge of the Libyan government, said one U.S. official. The Pentagon said the U.S. military was holding al Libi in a “secure location” outside Libya. He will be taken to New York on Sunday, a source with knowledge of the capture and proceedings told CNN. The Libyan interim government called the U.S. capture a kidnapping and has requested an explanation from Washington about the raid, the country’s state news agency reported Sunday. Libya emphasized its citizens should be tried in Libya if they are facing charges, LANA reported. In the Somalia raid, the SEALs came under fire and withdrew before they could confirm whether they killed their target, a senior U.S. official said. An administration official told CNN on Sunday that members of SEAL Team Six, the same unit that killed Osama Bin Laden in Pakistan, led the raid. The operations were carried out even as polls show Americans are skittish about U.S. military involvement in overseas conflicts. This means, Francona said, that others who might be in the U.S. government’s cross hairs could have more reason to worry. Al Libi, 49, has been on the radar for years. He was on the FBI’s “Most Wanted Terrorists” list, with a $5 million reward offered for information leading to his arrest or conviction. He is alleged to have played a key role in the August 7, 1998, bombings of American embassies in Nairobi, Kenya, and Dar es Salaam, Tanzania. More than 200 people were killed and another 5,000 wounded in the Kenya attack; 11 died in the Tanzania incident. Al Libi has been indicted on charges of conspiracy to kill U.S. nationals, murder, destruction of American buildings and government property, and destruction of national defense utilities of the United States. As early as December 2010, Libyan authorities told a United Nations committee that al Libi was living there, even providing a Tripoli address for him. 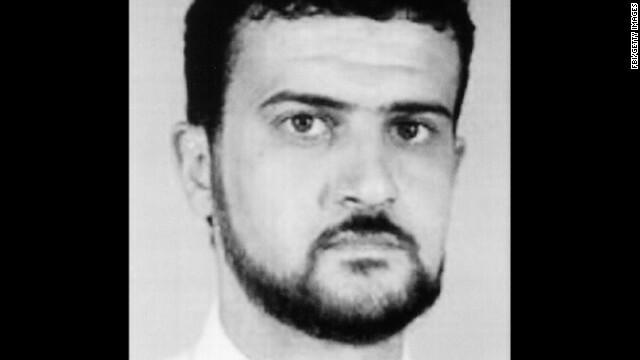 U.S. officials wanted al Libi to face trial in an American court. But, counterterrorism analysts told CNN, he may not have been apprehended at the time because of the delicate security situation in much of Libya. There, ex-jihadists — especially those who once belonged to the Libyan Islamic Fighters Group — held considerable sway after the ouster of longtime leader Moammar Gadhafi. Beyond any psychological impact on the terrorist group, al Libi’s capture could potentially yield a wealth of information about al Qaeda’s plans and capabilities. The terrorist network has shown particular strength of late in Africa. Al-Shabaab long has been a target of Washington as well: It was designated a foreign terrorist organization in 2008. The group is seeking to turn Somalia into a fundamentalist Islamic state, though it has carried out attacks in other African countries as well. The attack on Nairobi’s Westgate Mall on September 21 thrust Al-Shabaab into the spotlight once again. Washington vowed to support Kenya’s government after the bloody raid, which killed at least 67 people. The Navy SEAL raid on Al-Shabaab took place before dawn Saturday (late Friday night ET) in the southern Somalian port city of Barawe. The Pentagon would only say the operation was against a “known Al-Shabaab terrorist.” But town residents told CNN the “foreign forces” came via speedboat and stormed a house believed to be a hideout for several top militant commanders, including the group’s top leader, Ahmed abdi Godane, also known as Moktar Ali Zubeyr. A senior U.S. official said the Navy SEALs inflicted some Al-Shabaab casualties, and came under fire. They made the “prudent decision” to withdraw, and couldn’t confirm whether they killed their target, the official said. An administration official told CNN on Sunday the commandos withdrew to avoid civilian casualties. Abdiaziz Abu Musab, an Al-Shabaab spokesman, said at least one Al-Shabaab fighter was killed in the gunfight. But no U.S. personnel were injured or killed, a U.S. official said. In recent months, Al-Shabaab’s haven in south-central Somalia has been been increasingly squeezed as Kenyan forces fight the group from the south and African Union forces come down from Mogadishu, the Somali capital. At the same time, Al-Shabaab has become even more closely aligned with al Qaeda. The two groups effectively merged last year, said CNN national security analyst Peter Bergen. ‘Most Wanted Terrorist’ al Libi nabbed in native Libya after years tied to al Qaeda.